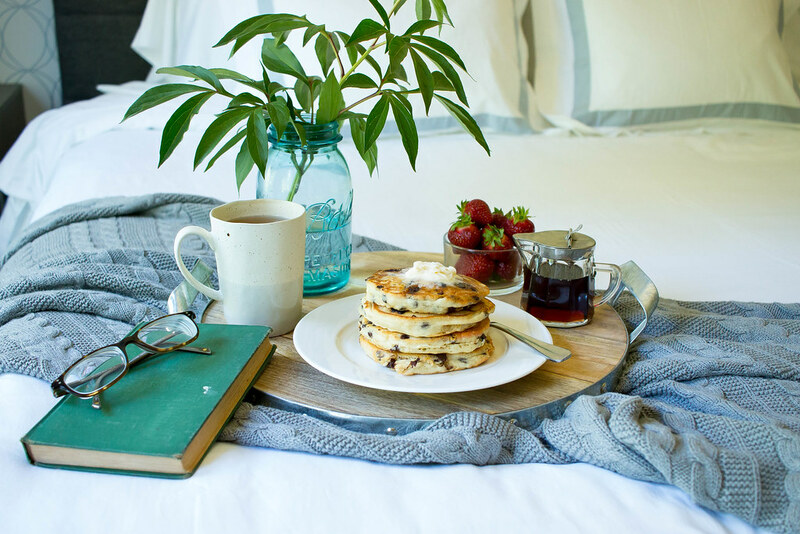 Is there anything more relaxing than lounging in bed and having a lazy Sunday morning reading and starting the day off slow? The answer is yes. 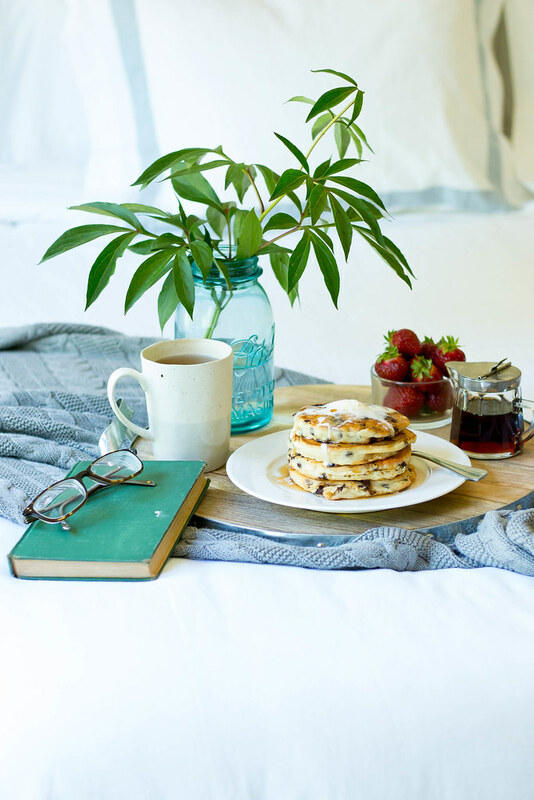 Breakfast in Bed is what I'm talking about. It is even better when someone else makes you breakfast and delivers it up to you like the Queen or King you are. I remember making my Mom breakfast in bed on Mothers Day growing up and thought is was the most special thing my Sister and I could do for her. 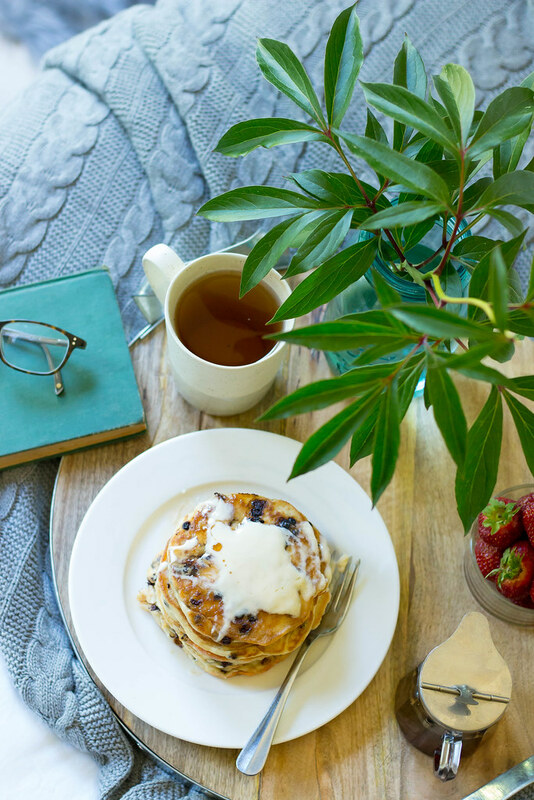 This Summer breakfast is bed and even more special. 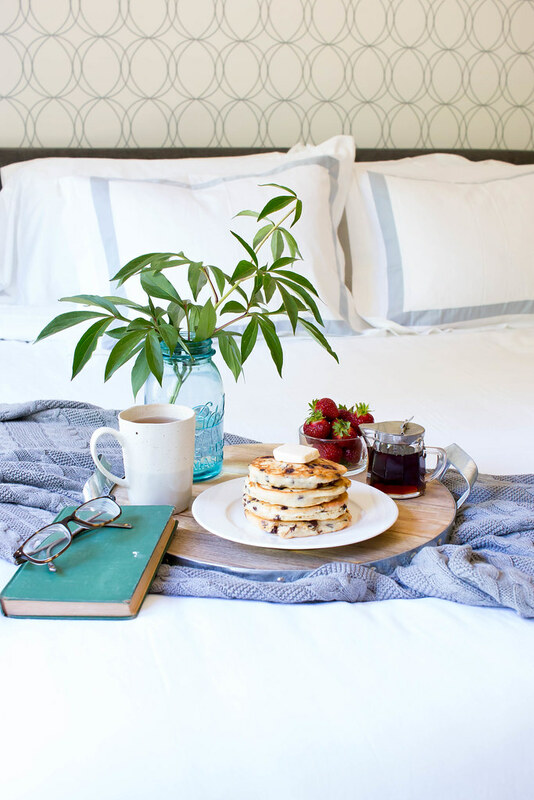 Aside from the chocolate chip pancakes- 'cause that's a no brainer, This is also about responsible luxury - fair trade, organic cotton bedding. I have never felt more spoiled than now. 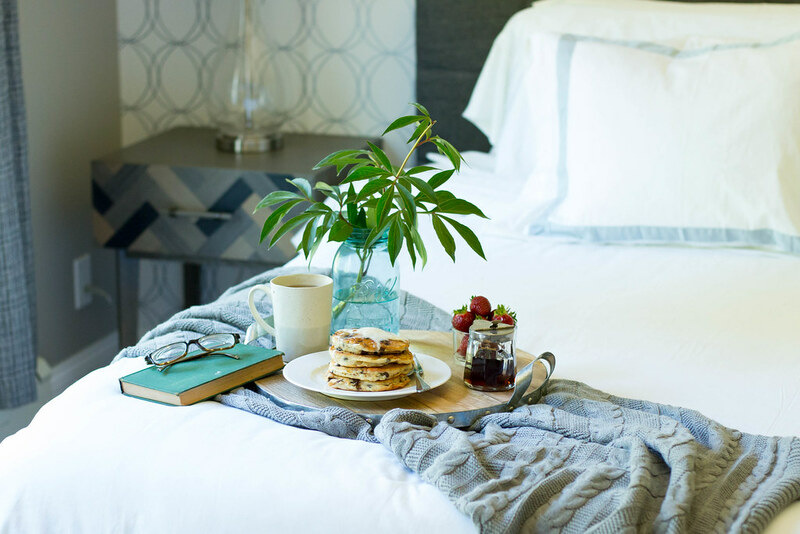 This bedding is out of this world - when we began remodeling our home a little less than a year ago it also consisted of clearing out the old and bringing in the new - top to bottom. 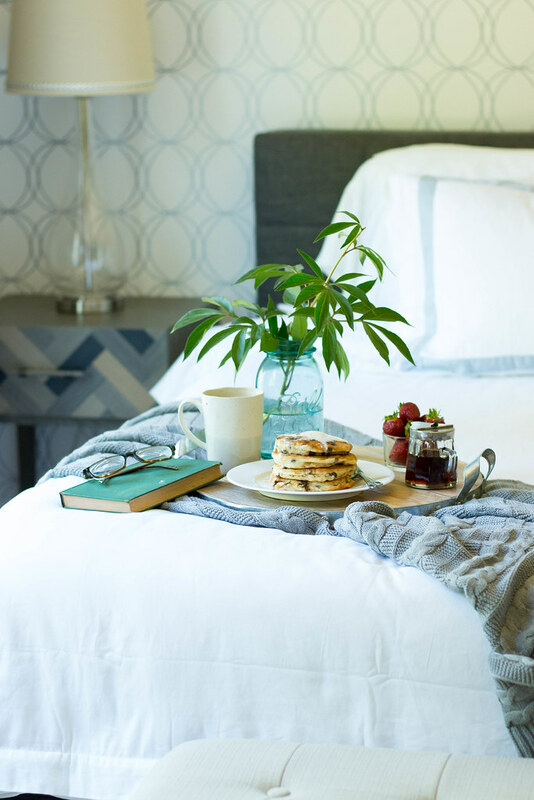 Organic linens are hard to come by - this is where Boll & Branch comes in. They offer the most beautiful, luxurious and responsible bedding. No lie- this is the bedding of all bedding. 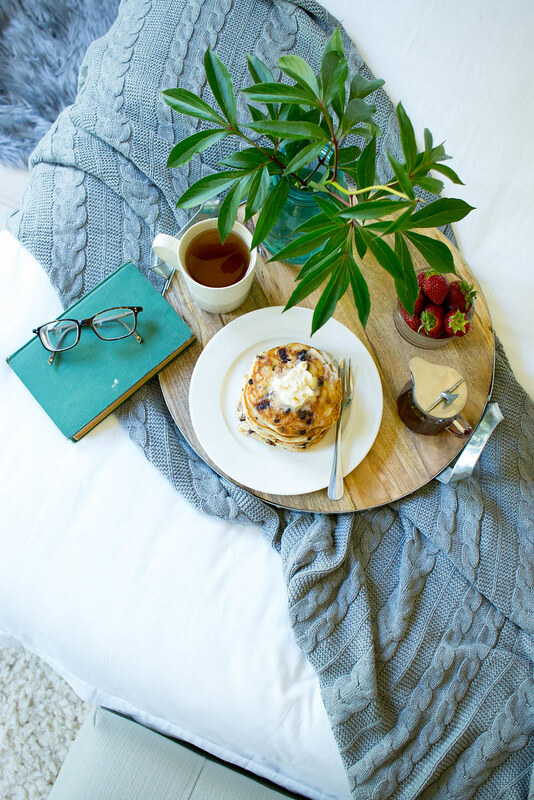 Boll & Branch was founded in 2014 to offer consumers industry-leading luxury bedding and goods from the ground up. As the textile industry is wrought with unfair and inhumane practices (including unethical treatment of labor workers, dangerous toxins and unsafe factories, to name a few), they set out to right those wrongs and implement ethical practices across their entire supply chain. They directly source the world’s finest organic cotton to create better-end products, all while remaining rooted in fairness from farmer to factory worker, making it a win-win for every stakeholder. Boll & Branch is the only home brand with complete transparency and trace ability in its supply chain. They know exactly where each product is manufactured and the farm that the cotton grew on, down to the parcel of land and the name of the farmer. The people who grow and make Boll & Branch products aren’t an abstraction. They’re human beings just like us, and from the organic farmers we partner with to the people who weave, dye and finish the cotton, they treat them accordingly. They have personal relationships with their partners and take real care to treat everyone with the fairness and respect that they’re due. So far, Boll & Branch has improved the lives of tens of thousands people at their partner farms and production facilities in India. And every purchase made on this site helps to drive that number higher. A company that strives for fairness, quality and equality is one that I feel good about supporting. The linens are super soft and have the clean lines and minimalist look that I love - I can't help but smile every time I walk into our room. Justin doesn't quite understand the throw at the end of the bed, but for me it is a must especially on the cooler summer nights when I just want to curl up on the bed without getting all the way under the covers - the throw is longer than most of the ones I have ; I love that it covers me from head to toe. Shop this look at Boll & Branch! In a mixing bowl combine flour, powdered sugar, baking powder, baking soda , salt + chocolate chips - mix together with a rubber spatula. Create a well in the center of the bowl and add non dairy milk and vanilla extract. Stir until just combine - a few lumps is OK, you don' want to over mix. Heat a griddle or griddle style pan over medium heat - grease pan with vegan butter. Scoop a 1/2 cup of batter at a time for large pancakes or 1/4 cup for silver dollar onto the hot griddle. Cook until little bubble begin to form on the surface of the pancake- when you flip over the bottom should be golden. 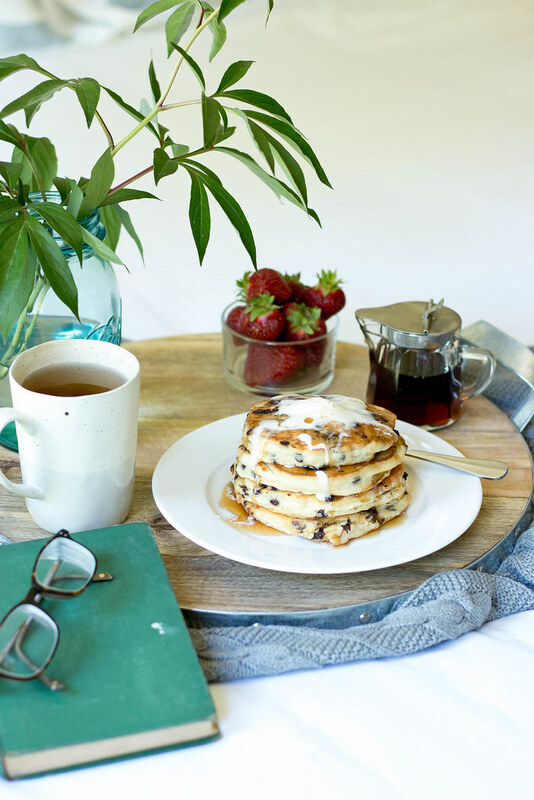 You may need to adjust your heat if the pan is too warm and pancakes are burning. Repeat process until all batter is used. I like to keep my pancakes warm in the oven (set at the lowest setting) on a sheet pan until the ready to serve. Plate and serve with vegan butter + pure maple syrup. Great pictures! Love this, thanks for the share!